This meatless, low-fat lasagna is chock full of colorful vegetables, making this a healthy and nutritious supper dish. 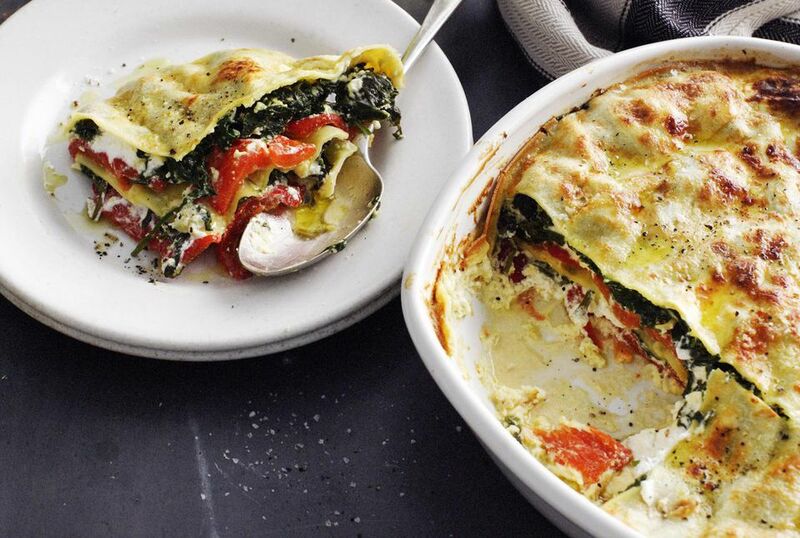 You can even prepare this vegetable lasagna ahead of time and refrigerate it until you're ready to cook. If you do, let the lasagna stand at room temperature for 20-30 minutes before placing it in the oven. Heat oil in a large saucepan. Sauté garlic for 1 minute, followed by onion, mushrooms, celery, carrots, zucchini and squash. Gently sauté for 10 minutes until vegetables are softened. Add tomatoes, tomato paste, herbs and some black pepper. Bring to a boil, then reduce to a simmer for 10 minutes. Spread a cup of sauce on the bottom of the baking dish. Top with noodles, followed by half the ricotta cheese; add another layer of sauce, followed by noodles and remaining ricotta cheese. Continue with remaining noodles and sauce, ending with sauce. Top with mozzarella and bake for 30 minutes.